Corn oil in hair care? That is a surprise! It usually makes us think of cooking. It turns out that corn oil is a great natural oil which regenerates even the driest, most damaged by dyeing and straightening hair. It is most helpful after hot summer during which merciless sun made our strands brittle, weak, dull and dry. Before you go the kitchen and reach out for a corn oil, read a few important facts which will help you to provide hair with maximum repair. 1. If you want to use corn oil in hair care, you must use cold-pressed corn oil which has intensive orange colour. Refined corn oil is more suitable for frying than applying to hair and you can recognise it by light yellow colour. 2. Unrefined corn oil undergoes oxidation quite quickly, therefore you should buy a small bottle which can be used up within two months. Moreover, corn oil requires special storing: keep it in a fridge in a dark bottle. 3. Corn oil contains lots of omega-3 and omega-6 unsaturated fatty acids. As a consequence, it has large particles which are suitable for low porosity hair. This type of hair has highly raised cuticles which make blanks that can be filled in with large particles of omega-3 and omega-6 fatty acids. These acids regenerate hair inside as well as settle on hair surface and create a protective layer along the entire length of hair stem. As a result, extremely damaged hair will be repaired as well as protected from further damage. 4. 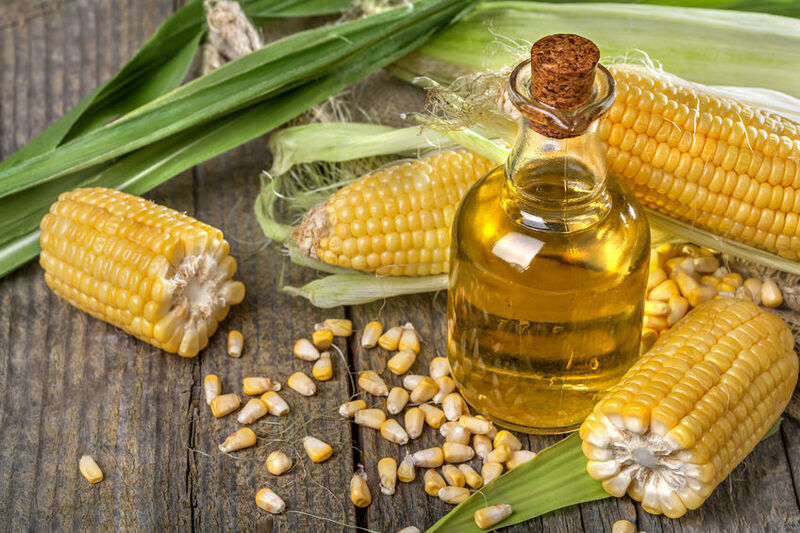 Corn oil prevents hair loss and premature greying. It is because of high concentration of vitamin E in the oil. Vitamin E is commonly known as a fountain of youth as it is responsible for fighting off free radicals and it is one of the strongest antioxidants. 5. Corn oil is also abounding in phytosterols which regulate too excessive sebum production on the scalp. As a result, hair won’t get so oily. Phytosterols contribute to the synthesis of collagen which is responsible for the youth and suppleness of the skin. How does hair look after hair oiling treatment with corn oil?